I am still fooling around with making small jewelry pieces. This really is more fun that I am letting on and less messy than making a coal fire in the forge. 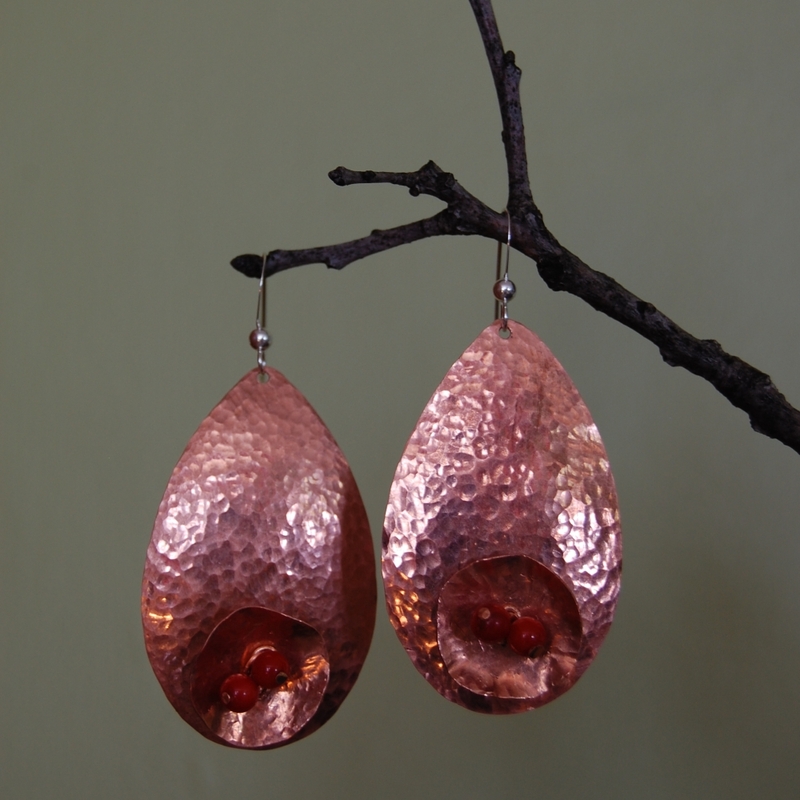 If any of the folklore about copper is true, I will never have any arthritis pain. I also made another set of earrings. This time I branched out and added some red stones to the center of the flowers. I am getting plenty of flack from the guys for all this by the way. I guess I will just have to buck up and take it. I put the earrings up for sale on my newer Etsy site here. Alright, enough reading, get up and go make some stuff! This entry was posted on August 16, 2010 at 2:11 am and is filed under Forging, jewelry, jewelry making, metalwork, Raising Copper. You can follow any responses to this entry through the RSS 2.0 feed. You can leave a response, or trackback from your own site. Hey Jim, Can you contact me at my email address? I want to talk to you about a piece of jewlery. 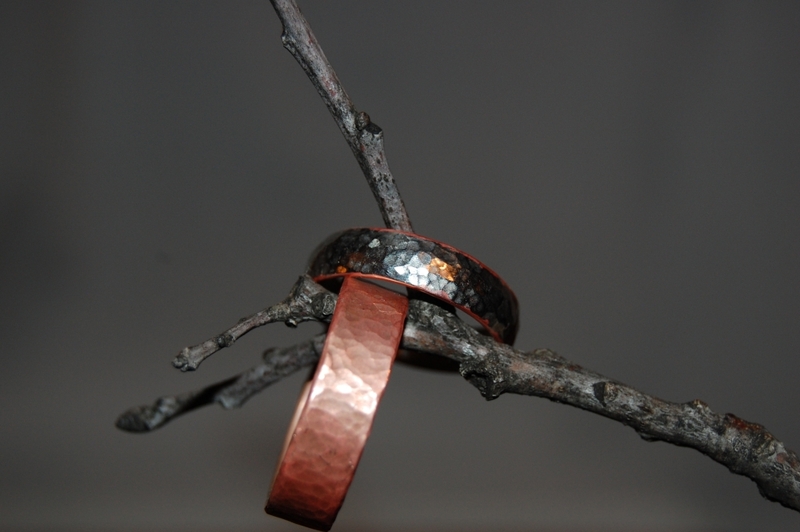 To seal copper, use Protaclear and the ring will not turn colors. At least 3 coats. It will need to recoated every year because rings have a lot of wear and tear. Great tip Catherine, thanks a lot! I’ve been using Protaclear for the past 2 years and it is terrible. Three coats makes it look cheap. I dislike the product. So I don’t recommend it.